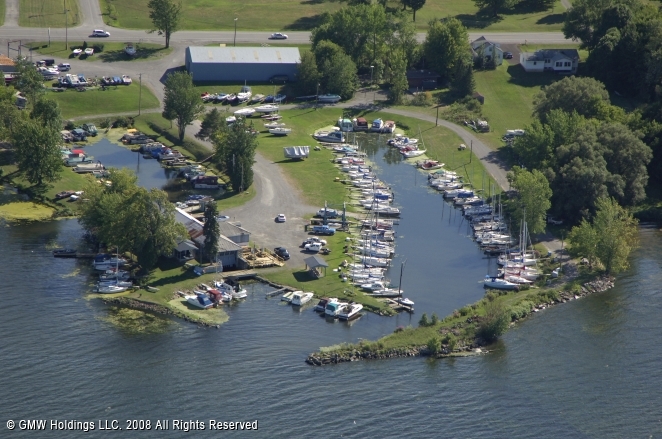 Oneida Lake Marina, LLC is located on Route 31 in Canastota, New York, just 1/4 mile West of Route 13. More specifically we are in South Bay, which is at the South East corner of Oneida Lake. Located 30 miles East of Syracuse, we are easily accessible from exit 34 off I-90 or from Route 31 off I-81. Oneida Lake Marina is the Home of the Oneida Lake Sailing Club and is only 4 miles from the Sylvan Beach Resort area and 2 miles from Verona State Beach Park. We always have a great selection of new Tahoe Pontoon Boats, Yamaha & Honda Outboard Motors in stock. We also have a large selection of used power and sail boats, used motors, new and used trailers, and used personal watercraft. We have a large inventory of salvaged boat parts, from motor parts, to trim pieces, to just about whatever you may be looking for. Come down,call, or check out our pre-owned link to see our current stock of used items. We are the #1 Tahoe Pontoon Dealer in New York State again in 2016. In 2009 We won the award for the #1 Tahoe Pontoon Dealer in the Nation!!! We have been the #1 TAHOE PONTOON DEALER in New York State for the past ten years, 2005, 2006, 2007, 2008, 2009, 2010, 2011, 2012, 2013, 2014, 2015, and 2016. We are a Full Service Marina with a large Ships Store full of new and used items. We have 2 full time certified technicians on hand. We offer Dockage for seasonal, weekend, or daily use. We also have Storage available. On-site, we have a Travel Lift, Launch Ramp, BBQ and Picnic Areas, a Gin Pole to step your sailboat's mast, and a Newly re-designed Clubhouse with Restrooms, Showers and a Kitchenette for our customers. Oneida Lake Marina is a family owned and operated business, and we try very hard to make sure that you enjoy the Marina as much as we do.